NOSE RING MEASUREMENT: These nose rings are 20 gauge/ 0.8mm in thickness. The length of them is approx 0.3 inch/ 8mm, and the diameter of the rhinestone is 2mm. The common size fits unisex people. 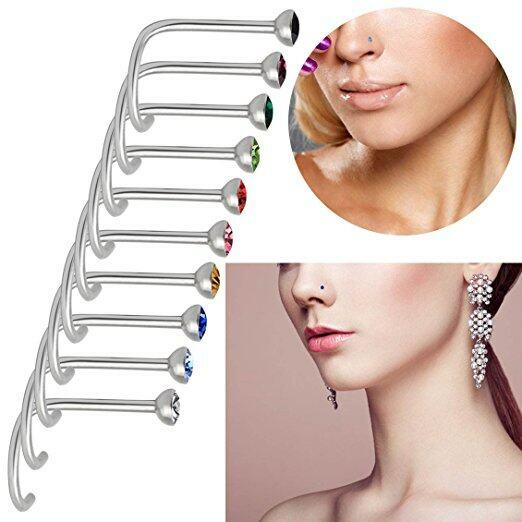 This package includes 10pcs nose rings which has 10 random beautiful color. SPECIAL L-SHAPE: These nose rings are in curved L bend shape which is easy to put them in your nose and take out, fashionable and beautiful. The rhinestones on the nose rings are fixed firmly, which is not easy to fall, delicate workmanship, with high polished smooth surfaces. 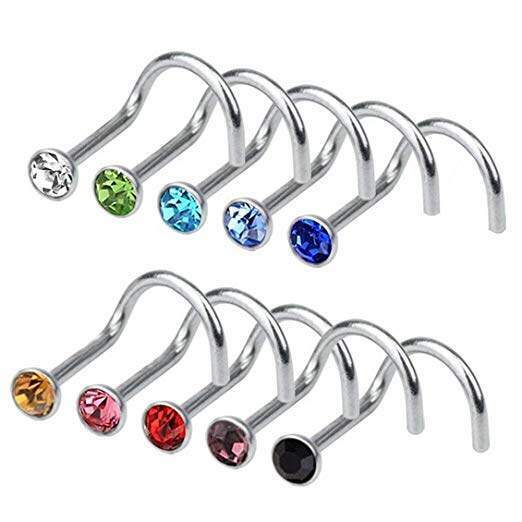 HYPOALLERGENIC MATERIAL: Our Steel Nose Piercing Rings adopts 316L stainless steel and rhinestone which is sturdy and hard, not easy to bend and deform, hypoallergenic, high resistance to rust, corrosion and tarnishing. It's great for daily life wearing and party wearing. 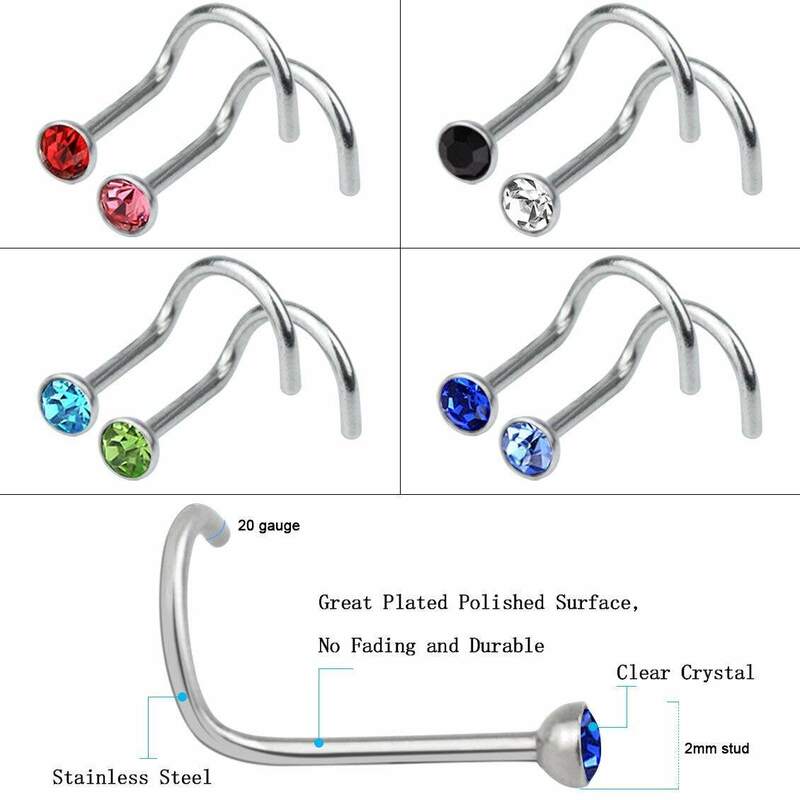 WIDE USES: These nose rings are great to wear and is comfortable to wear. It's suitable for daily life wearing, wedding, graduation party and any celebrating days. It's also a great gift for your girlfriends and families. PERFECT COLLOCATION: Our nose rings have 10 random colors which are matchable for any dress whatever party you attend. You can go out with wearing them that can show your cool charming.